Some demos and fun interactions. Vert.x is the framework for the next generation of asynchronous, effortlessly scalable, concurrent applications. The growing interest in non blocking, asynchronous approaches to application design motivated by scalability. The recent trend towards stripped down simplicity in APIs and a rejection of complexity that had dominated application platforms in the previous 10 or more years. 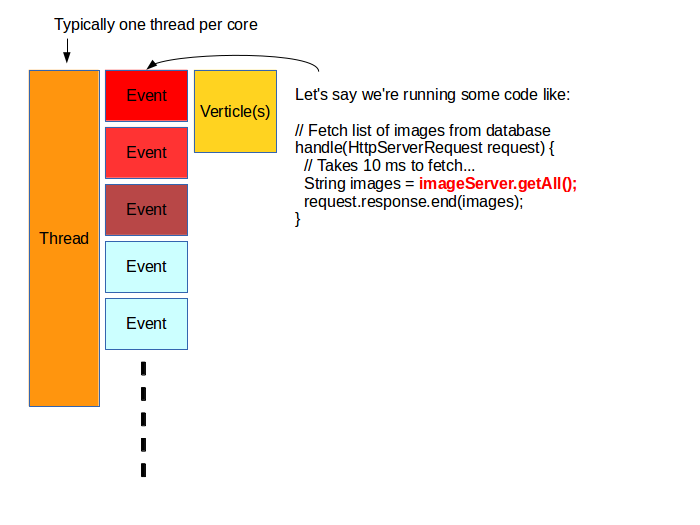 Concurrency: Multi-threaded event system, but each verticle instance is never multi-threaded. 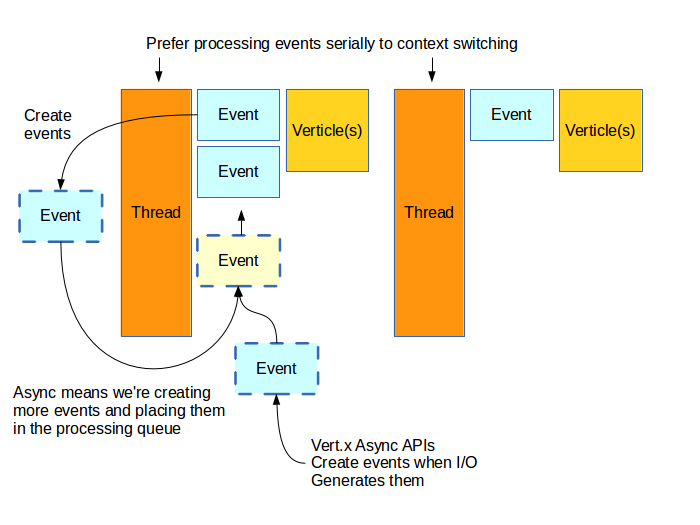 Async: APIs are designed to accept callbacks for anything that blocks. Publish Subscribe: interested parties subscribe, publisher may publish message to all subscribers. And where this get's interesting: This event bus extends the to the browser. Verticles are instantiated by Vert.x, can use the Vert.x API's to compose applications. The start method is called when an instance is created. From here, Verticles will typically call various Vert.x APIs to set up handlers. //     | file I/O, timers and the shared data structures. 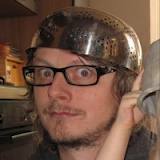 //                           | a user to pass in a callback. //           | of the usual boiler plate code. //             | a simpler application development platform. //             | takes to heart. 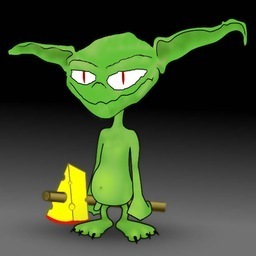 //             |                | Vert.x API, please see the manual. Worker verticles are similar to normal Verticles, but are processed on threads that are blocking sensitive. If many worker threads being to block, it does not halt processing of other waiting work. Worker verticles are generally considered a plan-B for using APIs that have no async capabilities. It's always considered a better option to find an API that supports Async. In addition to supporting blocking calls, worker verticles are also able to make network connections. Normal verticles will throw an exception if a network connection is made in a non-async way. The Vert.x Event Bus is a distributed across the Vert.x cluster (when enabled, and if clustering and used). The event bus is used to encapsulate the concept of a messaging bus. 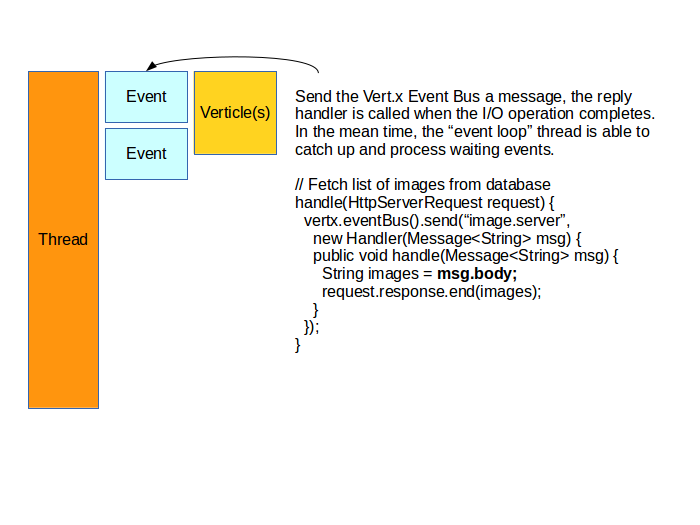 The event bus is the core of how Vert.x distributes work, communicates and integrates various modules and verticles together. //     |          | and all messages published will arrive here. //  | value that was sent. //  |   | number of times until no reply Handler is provided. //                * Send a message to the address random. //                |                        | the reply message. // is the random number sent from the service. 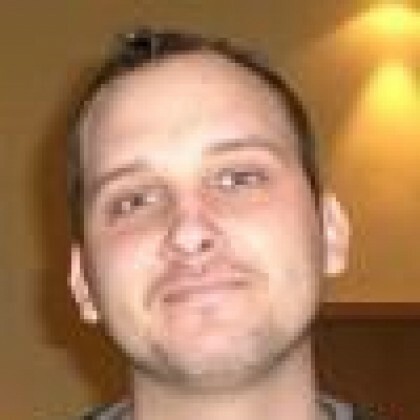 Packaged application or reusable set of verticles or class path. //                       | hits this async operation. // | that are sent to addresses that nothing is listening on. Shared data is a memory-based storage facility accessible from the vertx object. Stores maps and sets using a String name. //   |       * Each supported language comes with a language module "shim"
//   |       | Here we see require() as is typical in Node.js or any "CommonJS"
// v                                    v    shall the Groovy vertx shim! println "A request has arrived on the server!" Where xxxx is the version (in my case 2.0.0-CR1). It is also useful to remove the version information from the folder.